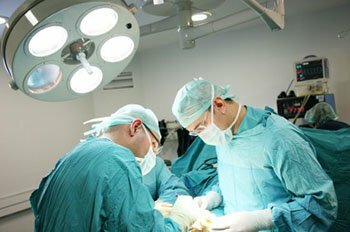 The type of surgery one undergoes depends on the type of foot condition the patient has. For the removal of a growth, such as a bunion, a bunionectomy is necessary. If the bones in the feet need to be realigned or fused together, a surgical fusion of the foot is needed. For pain or nerve issues, a patient may require surgery in which the tissues surrounding the painful nerve are removed. Initially, less invasive treatments are generally attempted; surgery is often the last measure taken if other treatments are unsuccessful. For the treatment of bunions, our office offers a minimal incision technique that reduces scarring. At the office of Larry Cohen, DPM, we offer a minimally invasive incision technique for the treatment of bunions that promotes minimal scarring. If you are interested in this procedure, contact our office for more information.